43% OF HIGHLY QUALIFIED WOMEN WITH CHILDREN ARE LEAVING CAREERS OR TAKE TIME OFF FROM THEIR CAREER. It is a problem many HR managers struggle with. Companies have invested years into the careers of high-achieving women, and suddenly they leave the workplace because of family planning and they have to get replaced. Becoming a mom is a big life changer, and no matter how well you prepare yourself for it, you can’t prepare until you have made that transition. And moms get overwhelmed and tired trying to do it all, now with a baby on their hands. When they decide that they can’t do it all, often their career gets pushed aside. Wash your dish towels every week. 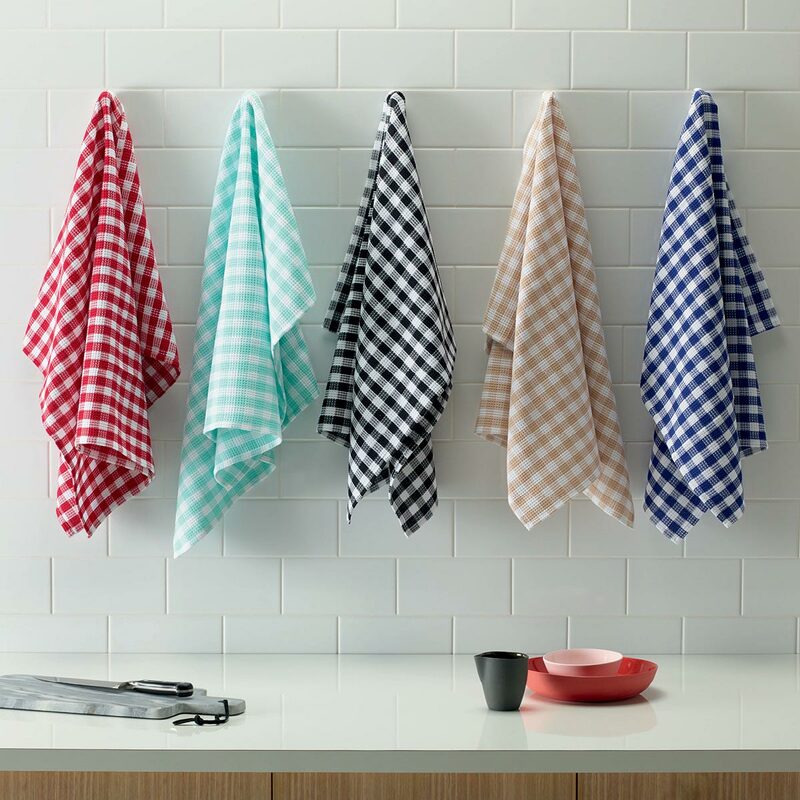 Kitchen towels collect food, and food stains may lead to bacteria and odor. If you cook often, you may want to wash your kitchen towels every week. If you cook less often, once a month can be enough. It also depends on how many people are using the kitchen. The more people, the more often you need to wash your kitchen towels. And if you have toddlers/young kids who get their hands dirty often, than washing them a few times a week may be needed. Your decorative kitchen towels, however, only need to be washed once a month. Some people cook more often during the holidays and need to wash towels more often to have fresh ones out when they are needed most! You can use your towels 3 to 4 times, but then they really need to get washed. Towels are designed for heavy use, but they will start smelling after only a few showers. Especially if you don’t let them air. Make sure you hang them out after use, so they can dry up quickly. If you work out or have a physically demanding job, wash the towels more frequently. Also, don’t share your towels with family members, if someone may have an infection, as towels are an easy way to bring that infection from one person to another. Especially when the towel stays even a bit humid. But don’t hesitate to replace a towel, when it’s time is up. There is nothing better than a brand new, fluffy towel. And even though timely washing will keep that freshness and softness. Eventually it looses its magic and it’s time to replace it with a towel that makes you super happy as soon as you pick it up after your shower. How many times a month do you wash your linens? Most people wash towels and sheets every two weeks, but actually it is highly recommended to wash your towels and sheets at least once a week. And I am not saying that just because I work in the laundry industry. There is actually a very good reason to wash it every week. Just like our clothing, we use linen every day. The bed sheets are touched by our skin about 8 hours of every day. So linen that touches food or our skin, will accumulate bacteria. Some linen is less used, like decorative hand towels or seasonal comforters, and you don’t need to wash them that often. 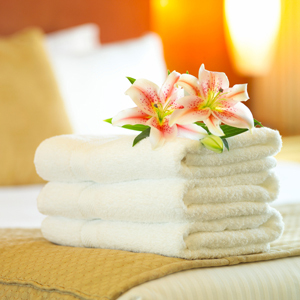 At Laundrylicious, we make sure you don’t have the hassle of cleaning your linen yourself, but we’ll wash it for you. We will be sharing best practices on keeping your fabrics clean on this blog. I hope you’ll tune in. How often should you wash comforters? We recommend washing your comforters twice a year! Even though you use your comforters every day, they are protected by a sheet or duvet cover, and bodily scents, oils and skin flakes usually don’t touch the comforter. So that means, you can wash them less often. Unless accidents happen, it would be sufficient to wash your comforter once or twice a year. Although my mom taught me to air my comforters once a month by hanging them out of the window, just to get a fresh breeze through it. But nowadays my windows have screens, so it isn’t that easy anymore, ha! But I hang them outside once in a while. So when exactly should you wash your comforters? I’d suggest washing them when the seasons change. Although that hardly happens in California, ha! 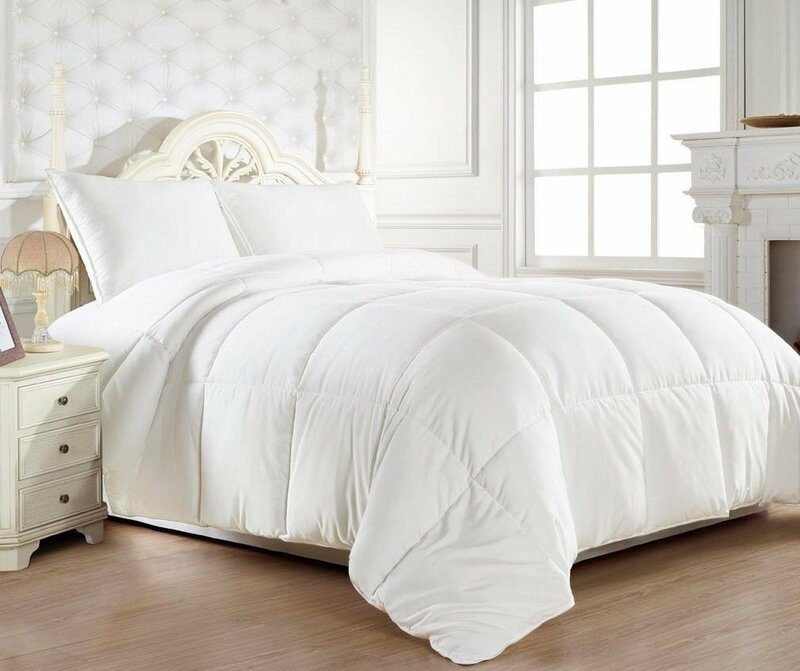 You can even switch to a winter comforter that’s a bit warmer and fluffier, and use a thinner comforter in the summer. Make sure that when a comforter starts smelling funky, you’d get it washed. 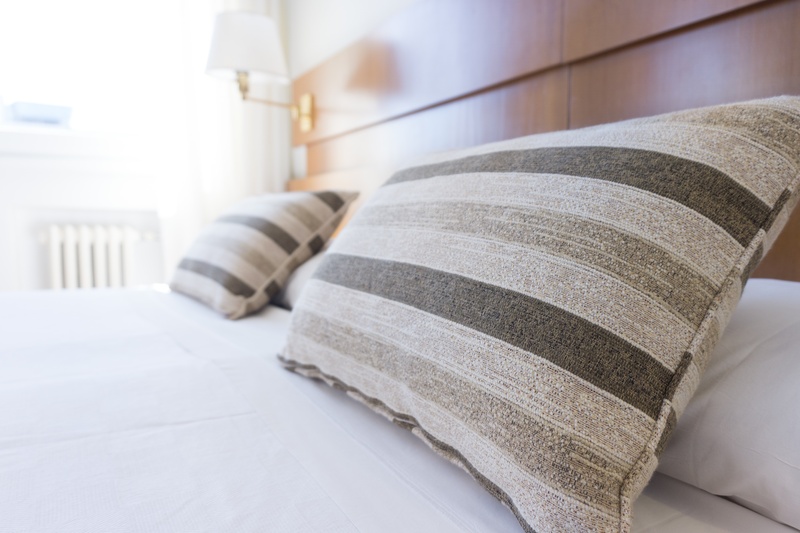 If an odor sets, it may be hard to get rid of and you may need to replace it have a fresh smelling bed at night. What example do you set for your child? Can she really become whoever she wants to be? Are you the laundry queen? Can your child become whoever she wants to be? What about you? Did you become whoever you wanted to be? If you didn’t why would your daughter be? Are you teaching her she can focus on her career and let the kitchen be for what it is? Do you say the same to your son? We are amazing super women, we can do it all. And I am very proud that you can. I know you are the best at cleaning your house, the best at doing your own laundry, and you know way better than anyone else what your kids need. Your kids need you all the time, your partner needs you, your home needs you and your business? Yeah, it would be great if you have some time left to start a side business or write a book or something. But first, let’s clean that kitchen counter. Or put an extra load in the laundry. I am saying no to that! Even though you’d be great at landscaping too, and teaching your kid and remodeling your home, or making your clothes, you don’t do that either right? Or maybe…? Ha! And what are you teaching your kids? That they can become anything they want to be? Do you tell them that comes with laundry, cooking, cleaning, picking up kids from school every day? Do you tell that to both your daughters and sons? But most parents only tell them that they can become anything they want – profession related. Wouldn’t it be great if you could show them the EXAMPLE that you became whoever you wanted to become? Did you become the person you wanted to be? (There is still time….). You are most likely an amazing mom, your kids see that. But please show them that they can really make their dreams come true by you making your dreams come true. Your kids will admire that and will want to strive for the same. Overnight success will probably not happen, but its an amazing example for your kid to show that you can take steps every day to become the person you want to become. There is more to life than doing the housekeeping and laundry. I hope you’ll show your kids that too! It’s very common nowadays to hire a cleaner to clean your house, groceries get delivered. Most people don’t have their own gardener, but hire someone to keep it up. And what about your car? Do you wash your car every week yourself? Or do you take it to a carwash? The houses we live in nowadays are much bigger than the houses in the 60s or a hundred years, and our standards are rising. Laundry pick up & delivery is not a common thing yet, but why shouldn’t it be? It easily saves a mom 6-8 hours a week, that she could use to spend with her kids or share her gifts with the world. Well, think about it: If you can afford it, why wouldn’t you hire someone else to do your laundry, especially if you hate doing it and don’t have the time for it? 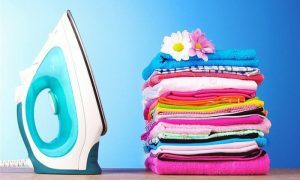 Here are some tips included to make sure that your next laundry service pick up is a great experience that will get you clean clothes and give you the best results for your money. #1.Do you need to sort your clothes? We take care of sorting your clothes, and it’s included in the service. We wash the light colors, dark colors and whites separate from each other. But if you feel you’d like extra care for your clothes (like delicate items, or dry clean when they can be washed), put them in a separate bag and attach a note to the bag. You can also let the driver know. If our laundry plant manager knows that a clothing item can better be dry-cleaned, she will contact you by text for you to approve. #2. How do I need to prepare my laundry? When preparing your clothes for pick up or drop off, make certain you don’t have any delicates or dry cleaning items mixed in with the regular laundry. Make sure all your pockets are empty, we can’t guarantee those items will be found, as they may get lost in the machine. For the first pickup, you can put the laundry in any type of bag (grocery bags, trash bags, hampers, etc). When we drop off your first order, you will receive our laundry bags that you can use for laundry & dry cleaning. #3. What about stain removal? If you want better chances of successful stain removal, you should treat the stains right away. Soak the stain or use laundry products that are specifically for pretreatment. Follow the manufacturer’s instructions when caring for your garment. Once a stain dries, it’s hard to remove, but we will still do our best. We may recommend a specific treatment at our dry cleaning plant to completely remove the stain. 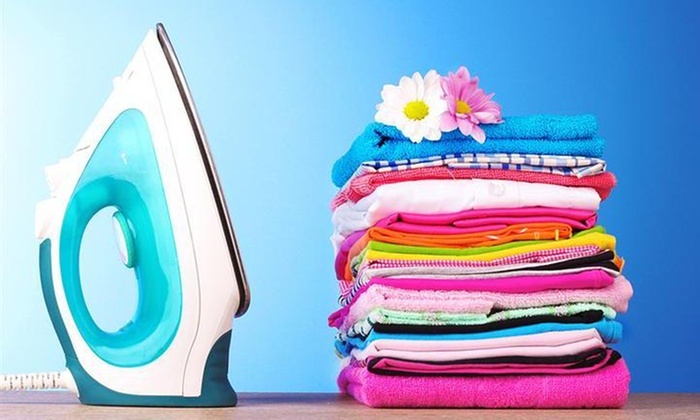 Our dry cleaning plant have an expert team that can remove almost any kind of stain. So, before you think of throwing away that nice shirt with mold, send it to us and we will always let you know if we can do it or not. #4. What about any special requests? Do you have a preference for a fabric softener, detergent or bleach? Are there certain items that require air drying? Make these requests known, either by providing a note in the online booking form, or by attaching it to the bag. The driver can also write it down for you. We can handle any type of fabric as long as we can take it with us easily, including curtains, comforters, blankets, pillows, seat cushions, leather etc. Whether you are a busy professional or an overwhelmed parent who needs a little help around the house, you can appreciate the extra help this service provides. Just schedule a laundry pick up and your items will be washed, dried, folded and returned to you. #5. What about the cost? We charge $25 per load and provide up to 20% discount when scheduling a weekly pick up. Larger items such as comforters, rugs, pillows and dry-clean-only items are charged per piece. We don’t charge anything extra for pick up & deliver, hangers, etc. One load is 10 lbs, and it’s the minimum we pick up. #6. Is it gross or taboo to send in your underwear to be cleaned, and do most customers do this? Oh don’t worry. Most people wear underwear. If you work in the laundry industry, you have seen it all, it’s part of the job, and people shouldn’t feel weird sending it out. We won’t share any Facebook pictures of your dirty underwear. #7. Do I need to tip the driver? Yes. The driver is a service professional, and tips are very much appreciated. Especially if he/she is able to carry the bags over a long driveway, out of/into the house, or provide additional information. Your tip is very much appreciated. You can tip online (even after the order has been delivered), or give cash to the driver. According to a 2011 survey completed by the Bureau of Labor Statistics, only 19 percent of men did housework, including cleaning or doing laundry, compared to 48 percent of women. We can be hard on ourselves. Moms, parents, business owners, working professionals, we can demand the most from ourselves. We may compare ourselves with people who have been in the industry longer, who have more experience, people who have had less setbacks in life than we had. Or people who have just been very lucky. And we feel we need to be there too, have the same things, be at that same level. And we aren’t. There are always people doing things better than us, in some area of our (working) life. 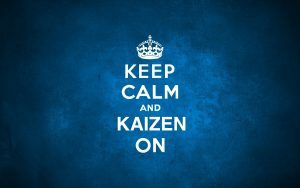 My advise to you is to not focus on the others, but learn from this Japanese to Kaizen. 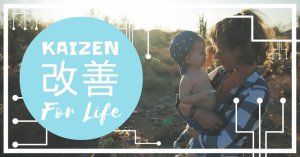 Kaizen is the belief that small changes over time can create huge life changes. When you do small changes everyday, you can tweak your life to make it easier, achieve more success and/or become happier with the life you have. It’s not about that big goal, that one thing you do that changes everything. It’s about daily changes. And we see that with common goals in life, like loosing weight. Many people have learned that one crazy diet can have an enormous effect in a few days (maybe), but then you quickly bounce back to your normal weight when you get back into your old habit. It’s about those small changes. To say no to one thing every day, for example no sodas anymore, or no fast food chains, and then build upon those habits with another tiny step to change your habits. That is exactly what I did. I stopped going to fast food chains in 2012, only going once a week to In-n-Out. Then after 9 months I stopped the once-a-week In-n-Out visit. The next thing I stopped was drinking sodas. And in 2o15 I stopped going to Starbucks and order the heavy calorie drinks. But then this year, my year personally has been tough. And with moving, and all the changes, making my own coffee in the morning with a 1-year old at home, seemed a big challenge. And some challenging mornings, I skipped making my own coffee and opted for Starbucks instead. This is a tiny set back, but I didn’t go back on all my health changes, because they have been there so long, these are now my habits. I have no interest in drinking sodas, and the thought of visiting a McDonalds or In-n-Out does not make me happy anymore, in fact I feel I miss a part of my meal that I want (veggies), and get things that I don’t want (salt, sugar, fat, factory food, calories, etc). This year, my life turned upside down as I am going through a divorce, and it’s all about re-finding myself and re-defining myself. Taking tiny steps of improvement in many different areas of my business and life, all at the same time. And it’s about looking at our own life, and seeing which tiny changes we can make to improve our life. Don’t compare ourselves. Just tiny steps to keep improving from where you were. The thing we can compare ourselves to, is our old self. The big changes in my life came at the same time as I was launching Laundrylicious, a service that I feel is helping people like me – to take control over their life. Doing laundry easily costs 6-8 hours a week for a mom. And it’s exactly that same thing: not having enough time, that I hear moms complain about most. In fact that’s probably a struggle for most people. And I really hope by taking this part out of their life, you life (a part that definitely isn’t a fun thing for most people to do, but a chore), I am helping moms live a better life, and enjoy the things they’d love to do most, whether it be their kids, their partner, their business, their work, family, friends, sports and/or other interests. Doing laundry typically doesn’t top these choices, and so taking this chore of their list – improves their life, relationships and well-being. And I’d love to be a tiny improvement in their life (your life?) to make this happen! It is that time of year again. 2016 has passed, and we say hello to a new year. A new year, new you. Many women choose to start a diet and/or exercise program as a New Year’s resolution. And for those goals to be successful you need to set yourself up for success! Facebook CEO Mark Zuckerberg’s goal is to have visited and met someone in every U.S. state by year’s end. “After a tumultuous last year, my hope for this challenge is to get out and talk to more people about how they’re living, working and thinking about the future,” he wrote in a post on his Facebook page. So, need a few ideas for less common resolutions? Check out these ideas! Toss your loose change in a virtual coffee mug by automatically deposit it to a savings app on your phone. Digit is a great, free app to save change easily every day, and it adds up quickly. Not only that, it sends you text messages with how much is on your bank account, so you can take active control of your finances. At the end of the year, you can take a small vacation, buy the newest electronic device, or keep it in the account for a ‘rainy day’. This will come in handy while you are on vacation from all the money you have saved. In addition to learning a new culture easier, taking on a second language does wonders for keeping your brain sharp. Duolingo is a great, free app that gamifies your language learning experience. My 11yo son is currently learning Russian. Be more adventurous and/or more courageous. Do something exciting to spice up your life! Try the local zip-line or bungee jump. Take that helicopter ride, climb that mountain or stay on the ground and try a new entrée at a local eatery. A great resolution is just to try something new, and get yourself out of your routine. No matter the adventure level, stepping out of your comfort zone is always rewarding. The new year is rolling right on in, and now is the time to choose a resolution and (hopefully) stick with it. Happy New Year, and lots of wishes for a productive and happy 2017.